Calendula Flowers, also known as Marigold, are bright yellow flowers. Used to provide a natural botanical element to products. 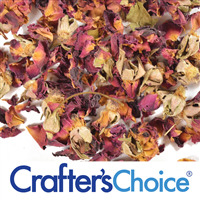 Great for aromatic, hand blended potpourri, bath teas and embellishing soap. The petals can be infused in oil for use in creams, lotions and other cosmetics as well. To provide a natural botanical element to their products. Potpourri. Bath Tea. Embellishing Soap. Oils infused with calendula are commonly used in recipes targeted for dry and irritated skin. Calendula is commonly used in baby soaps and lotions. Physical Form: Wispy, canary yellow petals. Approximately 44 cups to 1 pound. COMMENTS: Lots of petals for a great price! I was very impressed with the quantity and quality of the petals. I will definitely purchase again.
" Calendula - Petals Only "
COMMENTS: Calendula - Petals are great in bath teas, on soaps and more. COMMENTS: I loved these petals. Its a very fair price for the amount of petals I received. They were a beautiful bright color and look great on top of my cold process soap. They can also be used for infusing the oils before making soap or other products. I'm very pleased with my purchase. COMMENTS: I love everything about Calendula petals. I use them in infusions, in soaps, as decorative and for the benefits they provide. I always get high quality petals here. COMMENTS: I rehydrate these and soak them in Jojoba oil for months and end up with a great calendula jojoba mix! "If you don't grow your own, these are fantastic!" COMMENTS: I used to grow my own calendula, but as my circumstances have changed, I no longer can do that. I love the calendula petals from WSP. So good for your skin. I use them in lotion, salves, soaps, lip balms etc. I usually go the old fashioned route of window sill oil infusion. Put them in a glass jar with oil to cover, and set them in the sun for a couple of weeks,shaking once in awhile. The oil turns out golden. A wonderful plant to use. BONUS: The price is also FANTASTIC! COMMENTS: I ordered just 2 oz and the bag is BIG - great value! I use these in bath teas, bath salts and soap. COMMENTS: The soap I made with the petals sold very well. COMMENTS: I infused these petals in oil for awhile. Then i used the oil for salve. I used other oils in addition it this this. It worked out well. I also used this product in my tea bath. COMMENTS: These came very fresh and soft. They smelled beautifully and are easy to grind down to a powder. COMMENTS: Packaging allows for easy use. I infuse the petals in olive oil for soap. Also use dried petals to decorate soap. COMMENTS: I love these Calendula petals, you get just the petals and they are a nice bright yellow. I use thsee in soap, to decorate the top of soap and in bath salts, bath teas and bath bombs, they are perfect! COMMENTS: These petals are of excellent quality. They have their own natural color, none are browned and the have "NO" odd smell. They are perfect for everything you need or want to make. A must in your inventory!! "Nice color beautiful petals "
COMMENTS: This has been popular with people for the scent and the flower petals. The only drawback is the petals make the soap a little bumpy looking. The mold will be useful for other things as well. "Lots of products and beautiful petals"
COMMENTS: Lots of beautiful petals! Thank you! COMMENTS: I have used other calendula flower products. They work well too, but the seeds look like little bugs in your final product. This petals only product has the distinct advantage of not looking like worms! I love the calendula scent, and that the scent and color of the petals don't morph in CP soap. Thank you WSP! COMMENTS: I like these petals to occasionally decorate the tops of cp soap since they don't fade or turn brown. Mostly I use these to infuse into oils for hand balms. COMMENTS: This looks really unique and cute when added to melt and pour. I also like the feel it adds to soap. Not rough but still has a texture to it.
" Calendula - Petals Only"
COMMENTS: I used the Calendula Petals on my CP soap as decorations and it add just a really nice touch and presentation to my soap. "Great product great value "
COMMENTS: I love using these in my soaps! Opening the bag it's so fresh and earthy I really love these! COMMENTS: These calendula petals are the best! I use them to infuse olive oil I use for my unscented calendula soap. My two "sensitive skin" relatives report that this is the only soap they can use. I also use the calendula petals to decorate the soap. COMMENTS: Lovely infused with sweet almond oil to top of the soap. Used a a decorative accent and infused the restorative properties into the oil. COMMENTS: I use these to infuse in olive oil for use in various bath and body products and for decorating the tops of soaps. Very pretty, vibrant petals that look beautiful. COMMENTS: I used these petals to make an oil infusion to use in my soaps. I added enough petals to fill a pint sized mason jar about 3/4 full. Then I added my rice bran oil (long shelf life) and put it in a crock pot with a couple of inches of water and let it infuse for several hours. The oil turned a beautiful yellow and I can't wait to make my baby soap with it! Awesome! 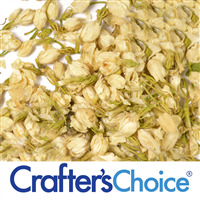 COMMENTS: Great product...I use these petals to make infusions, extracts and in my soap. Great price point too. COMMENTS: I've used these in CP soap and the color stays true and adds that extra something to your soap. I've also infused olive oil with these and used in a balm which was really nice. It was a nice size bag too which I was happy about. COMMENTS: Love the color!! Gives umph to my M&P bars. COMMENTS: I bought the Calendula Soap Kit and I love it. Everything about it was fantastic. My customers have remarked that the soaps look like pieces of amber and that is thanks to the wonderful calendula petals. I had no idea that they would color the soaps so beautifully. A definite hit and now part of my product line! COMMENTS: The color of these petals are so vibrant and beautiful. They are lovely in my MP soaps! COMMENTS: I add these little petals to a few of my wax tarts, they add a cute touch to the floral scents. COMMENTS: I love these petals! The color is perfect and they look amazing in my soap. I wish they were filtered a little more since there are sticks and dirt in the bag. Overall a great additive! COMMENTS: These petals were such a great purchase. Just petals with very, very few leaves or anything else. I use them to infuse oils, decorate soap, add to soap batter, and make potpourri. Best quality and value anywhere. COMMENTS: Used these to jazz up my m&p soap. Made my soap really nice to look at.. 2 lb is a lot of petals. Will be buying a bigger bag soon. Thanks WSP for another wonderful product. COMMENTS: Liked how the petals look in soaps and message oils. COMMENTS: love this product in bath salts when I do the orange scent. COMMENTS: Perfect for infusing oils for lotions and salves. COMMENTS: I love that these come packed and so easy to work with. I make a Lavender Calendula Soap with these, I puree them along with some Lavender buds in the blender. Sells like crazy. You get a huge bag, definitely your moneys worth. Thanks for making my life easier. COMMENTS: These are great for infusing into oil for extra skin benefits in CP. I add the petals and all. I also infuse these as a TEA to add to my lotions. Nice skin benefits. "So pretty - great quality"
COMMENTS: I've used these in bath infusions for their skin benefits and plan on making sun soap with them. They are lovely and great quality. COMMENTS: I would recommend these Calendula petals to absolutely anyone! They're vibrant, smell amazing, and have very little stems or sticks. The quality is amazing! Thank you, WSP! "Wow...I am in Love with Calendula Petals"
COMMENTS: Omg! I am in love with these calendula petals. First of all I thought a 2 oz. bag was small. Well....this in one very big bag of calendula petals. I have made some beautiful soaps with these and right now I am making a calendula oil infusion to use in my lotions and facial creams. I will definitely be buying these again. Thanks WSP for another great product! COMMENTS: I didn't really realize how much 2 ounces would be. It is a huge bag. I was surprised. This item smells pretty bad. I've never bought it before. Always just dried my own and I don't remember it smelling quite so bad, but it will be used with other scented items so is should make much of a difference anyway. It is brightly colored and a pretty accent. COMMENTS: Looks really pretty in a clear base. Would buy again. "A little goes a loooooooooooongggggggg way"
COMMENTS: I didn't think I would get so much, I ordered the small bag, and I got so much. I love it in my cold process cold. I love it in my tea baths, and even bath bombs. You have to try to believe it. COMMENTS: I really like the smell of these petals. Not overpowering. COMMENTS: Love these petals and at a great price! Best I've seen. COMMENTS: The value for the money is awesome with this one! Huge bag! I use in hot process soap after grinding a bit and I often infuse in oil for lip balms. A winner! COMMENTS: Love the way the colors pop-out. They will brighten anyone's day up with a little touch of sunshine with these lovely flowers. COMMENTS: Very impressed!!! I was amazed at how many I received. Used these to make a Calendula and Lemon Soap. Made a tea out of the petals, infused my olive oil with the petals and sprinkles them on top. It was such a nice soap, with a silky smooth feeling. I will definitely order more when I run out! Two thumbs up! COMMENTS: The bag of petals is very large and will last quite a while. They look good in my MP clear soap with calypso sun fragrance. I will be using it next in my candles. Lots of positive comments on the soap containing the petals. "Very pretty in clear M&P..."
COMMENTS: ...and as a topping on soap loaves. You get a large amount in a two oz package. Recommended. COMMENTS: Customers always love botanical soaps and these Calendual petals are great additions to our cold process bars. COMMENTS: I just love using these calendula petals to top my soaps. They stay true to color and don't turn brown. So pretty and bright and adds a soft, organic touch. COMMENTS: Price and quality are great. Used to make Candula infused oil for Hp and CP soap. Smells wonderful with lemongrass EO. COMMENTS: I had no idea that so many petals would come in a 1 lb bag! I have enough for a good 6 months or more! I have infusing these petals in witch hazel & love the results. I use it as a toner and my face doesn't dry out or become irritated like it does w/other toners. Plain witch hazel dries my face out terribly. I'm going to start infusing in oils & start working on a babies line. I am really satisfied w/these petals. Like previous reviews say, there are no stems or leaves in bag. COMMENTS: I bought these to jazz up my M&P soap bars that I scent with WSP Lovespell FO. These petals and brightly colored and very high quality. I will certainly buy again. COMMENTS: Very nice product, stays yellow in soaps and scrubs. Also used it to make a calendula infused olive oil and it worked great. I didn't get a very yellow color to the oil, but the fragrance came through. COMMENTS: Great, high-quality calendula petals. COMMENTS: Botanical infused oils, nice added benefits! COMMENTS: I really like the yellow color of these. It helps to give my products a nice and cheerful look. You also get a lot and the price is great! COMMENTS: I use these in my bath salts, bath bombs, and to infuse into oil for other products. COMMENTS: I have only infused these petals in oil and so far I like the yellow color. I can't wait to try adding these calendula petals to the top of my soap. COMMENTS: There was so much in the bag!! I infused the petals in some oil and use the oil to make CP soap, then sprinkled some on top of the soap to make it more interesting... I was satisfied with the results. Will try my hand at some bath teas, since I have so much left over. "You get a lot for the money." COMMENTS: I loved the results in my finished soaps. Not only do you get a lot but it's very fresh. Will definitely reorder. "Great for adding a personal touch"
COMMENTS: I enjoy using in my products. They smell great, look great, and my customers love them too. They give my products that personal handmade feel. COMMENTS: These calendula petals are the best, the color is vibrant and when you infuse it in oil you get a really golden color. I used the infused to make sugar scrubs and the color was very bright. I'm very pleased with the results I get from these petals. COMMENTS: 2 oz bag is much bigger than you would think. I love this calendula because it is only the petals. I infuse it in Olive Oil for soap & body butters. I love the smell of it infused with Chamomile flowers. I make a baby soap with the Calendula & Chamomile infusion that smells wonderful without adding any other scent. COMMENTS: I just recently started using calendula petals for oil infusions. I love how much you get for the price. they are a gorgeous color and work perfectly when infused (we use olive oil). This will be great for salves and balms as well as whole in bath tea mixes. COMMENTS: I used this in a traditional bath bomb and they were lovely. A little bit goes a long way. COMMENTS: Very pretty used in the Calendulla Sun melt and pour soaps! 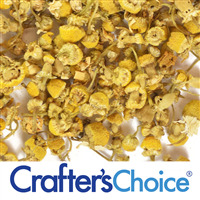 "Crafters Choice™ Calendula - Petals Only"
COMMENTS: I've used as is on soap tops as well as within my soap batters for exfoliation. I have also infused with oils, adds a nice yellowish tint. Petals hold their color. COMMENTS: Beautiful petals - vibrant gold color. Held up really, really well in CP soap and looks just fabulous! COMMENTS: I ordered 2oz of this and was surprised for the amount in it. Lovely. Used these at a thin trace. These are great. COMMENTS: Color looks great! Holds the color in liquid soap and toner very well, they really rehydrate when wet, they look alive! COMMENTS: I frequently infuse these petals with oil (mostly) and sometimes water and add to my soaps and lotions for their various properties. COMMENTS: Really enjoyed working with these and how that did in my soaps. COMMENTS: Petals are a pretty and bright addition to cold process soaps, either sprinkled on top or added at trace. They give a beautiful pop of cheerful color and have natural beneficial properties. Customers love to see that you are using natural herbs or flowers in products. You get a lot of petals for the price and the large quantity will last me awhile. COMMENTS: I couldn't believe the amount of Petals in the small bag. Used them in my CP soap with orange FO and it came out perfect. Love the smell and the looks of the petal in and on top of the soap. COMMENTS: I used these in my bath salts and bombs that have orange and lemongrass. They add a great smell and are perfect to add a splash of color. Fast shipping, great price! COMMENTS: these petals can be used in several projects...love the fact that they are 100%Real they smell great and the color is bright and cheerful...they are also beneficial on the skin and look great in soaps,massage oils,potpourri, and much more! COMMENTS: I use Calendula Petals to decorate my soaps. Other flower petals seem to change color and/or deteriorate, especially in CP soap, but these hold up very well. COMMENTS: Great for making oil infusions and on the top of my soap look so pretty!!! "Bright sunny petals at a great price!" COMMENTS: I used these petals both in and to decorate the top of CP soap. One of the very few herbal ingredients you can put in cp soap that won't discolor - they stay bright orange. I've also used these to make oil infusions to enhance the skin loving properties of my soap. A must have ingredient! COMMENTS: Used this in a face mask and was very happy with the results. I plan to also infuse this in oil to use in salves. COMMENTS: I was surprised at the quantity I got in the 2 oz package. The petals have a vibrant color and are great for making salves or adding to M& P soap. They come in a nicely ziplock kind bag so no need to transfer to another container. COMMENTS: I was pleased with the reviews on this product so I ordered it, and I agree that it is a quality product. Nice, full petals. I infused these in olive oil for my shaving soap and they infused very nicely. Thank you WSP for helping me make a great product! COMMENTS: Love these in soap! Such a pretty color! COMMENTS: This is great to have on hand. I have 2 children with eczema and I make a herbal salve for them! Love it! COMMENTS: So easy to infuse in oil and then use in baby products and lotions. Love the healing benefits! COMMENTS: Excellent quality, more than I expected...Excellent price! COMMENTS: These petals are so incredibly fresh! I have infused oil with them for soap, and also used it inside my CP soap and on top. The color is so vibrant and they look so pretty on top. I have also used it in salves and it works wonderful. I love this product! "So much for the money"
COMMENTS: I use in soaps, bath melts, and massage oil....nice appearance and quality. COMMENTS: Much better than the previous calendula; love having petals only. Aromatic and adds a nice natural yellow color to soap. Just started playing making different oils with this too. Testing now on my sensitive skin. COMMENTS: I use these ground up in scrubs, whole in soaps and for infusions for balms and such. I love the price and the amount you get is insane! COMMENTS: Nice color, generous amount in 2 oz package. All petals, no stems. Great for infusing in oil to make salves and creams. I wish there was an organic option, but I'm very pleased with this product. COMMENTS: This looks great in my soap, bath milks, and bath melts. COMMENTS: I use calendula in a bunch of different things - bath fizzies, salt blend, soap and infuse in oils. I love how it looks in soap and bath bombs. It is excellent quality and performs well in every way that I've tried it so far. I can't believe how big a pound of calendula is either! It was a great buy and I'm finding more uses for it all the time. COMMENTS: Love this additive, perfect price point. Petals can be used over & over for oil macerations/infusions for lotion making & massage oils. Love to use infused oils for lotions to help customers with eczema. Perfect for babies. COMMENTS: Great products many uses,I love to make infused oils with this herb. These are the best I found over the years. Will continue to purchases from wsp. COMMENTS: These petals have a gorgeous color. Perfect for embellishing soaps or using in bath teas. COMMENTS: Bright and perfect. Not drab and dull colored like some places! COMMENTS: Used to infuse olive oil to make creams...great botanical! COMMENTS: Awesome quality, great value. You get a lot of petals for the price. COMMENTS: I love these flowers! They come in whole petals, not broken or crushed overly dried pieces. The color stays gorgeous no matter what you use them for, and add a light scent to any project. Will definitely be ordering again! COMMENTS: Love these as you get the petals only. Really easy to work with for infusing oils. Leaves a nice golden color and lovely scent. 2 oz will give you a lot so it's a great size to get if you just want to try it out and want to have for several batches. COMMENTS: I love adding calendula flowers to my soap....beautiful yellow color and smells awesome! COMMENTS: I like the color and this type of petal, because it can go into the M&P as a gentle exfoliate or a CP soap for decoration. Some customers prefer the more naturalist look and feel to their products. The price is very affordable. "Good Value but Not what I expected...I should've!" COMMENTS: WSP gives superior quality on this buy. You get a whole lot of premium botanicals in this lb. I use these among other botanicals on my CP Soap Botanical Series Soaps and these are among the most beautiful decorative items I have ever purchased! I should come to expect the best from WSP since they consistently deliver that to me time and time again. You will certainly be pleased with this one so go ahead and try it, but keep in mind, you get a whole lot in a pound and a little goes a long way so I would order accordingly. COMMENTS: The petals smell so sweet and fresh. I use it to infuse in avocado oil for my baby soap and healing salves. I wouldn't buy from anywhere else. COMMENTS: These are high quality calendula petals, and are beautiful in cp soap. • Full petals, not broken. "Excellent Quality Petals at a Great Price." COMMENTS: A LOT of high quality petals and can Not beat the price. I use these in so many things. They really DO hold true to their color/color Stays perfect in all kinds of soap. Will not fade or turn brown in soap even over an entire year! Will buy again if I ever run out. COMMENTS: For my CP goat's milk soap I infuse olive oil with calendula leaves. This is a great soap for people who have sensitive skin. I also chop up some of the leaves which adds beautiful gold specks and some exfoliant to the soap. the gold specks make the soap even more attractive. The color of the leaves hold up just great in CP soap. 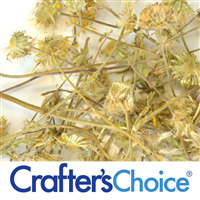 "Superior quality & gorgeous color"
COMMENTS: Truly impressed with WSP dried Calendula. Fabulous quality and beautiful color. The petals are actually petals & not crushed/broken pieces. After purchasing dried Calendula elsewhere before, I honestly highly recommend WSP. Super sonic ship too! YAY! "Calendula flower infusion for face cream"
COMMENTS: I use the Calendula flowers to make n infusion for a natural face cream I make, they work great & are very soothing to the skin. My customers love it! COMMENTS: The petals of the calendula flower add so many amazing benefits to my soap. Plus, they are very appealing to the eye in recipes. I have ordered calendula from other distributors, but prefer the pricing and quality of WSP. COMMENTS: I used them in in M&P clear soap. I added just a touch of yellow 'stained glass' coloring to give the soap a tint, then added the Calendula Petals. I used a round mold as well. - WOW- the soap turned out GORGEOUS! If you hold it up to the light, it looks like a ray of sunlight! Beautiful, the Calendula petals look absolutely gorgeous in the soap! Will definately buy again! • The color was beautiful. • Petals were fresh and vibrant. "Calendula - Petals Only Can we include the dried petals in the body oil bottle with the oil? Looks so pretty." Staff Answer Yes, you can add botanicals to body oil. "Can you use these in food recipes,such as cookies?" Staff Answer Wholesale Supplies Plus is a cosmetic supplier and the facility is not certified by the FDA for food repackaging. For this reason we do not claim our products to be "food grade" and do not recommend ingestion. "Will the petals hold their color or brown over time?" When you receive these petals they will already be in their dried form. They stay beautiful and do not fade or brown over time. Typically, Calendula petals do not turn color over time like some other FRESH botanicals. These are dried so should remain their vibrant color. They can brown in some situations, like cp soap, however, if you store the dried petals sealed and out of light, they won't fade much. "Do these have any scent? " No, but they do provide an interesting contrast and are beautiful on or in soap. Yes, they DEFINITELY do have a scent. They smell like hay. I ordered them to use as decorative cushioning inside my clear plastic bags I package some products in. No matter how scented my soaps were, when you opened the bag and took a sniff, the hay smell definitely dominated, even if some of the fragrance oil from the soap came through. Yes, a bit of a dry/herbal/hay scent. It's not unpleasant but it's not floral.